The art of getting lost is an easy task if you don’t know where you are going and are not prepared to get lost. I don’t get lost as much as I used to, like that time in Dublin, Copenhagen, Australia or even Brasil. The art of losing oneself in Sardinia is spectacular, mind-boggling and a full frontal attack on all human senses. I often lose myself to the spectacular panorama, the rising sun or the setting full-moon, the endless crashing of waves and even in a plate of traditional gnocchi Sardi topped with aged pecorino cheese and a glass or two of cannonau (Sardinia’s earthy, red wine). What I don’t do, ever, is get lost in a maze like the photo below. I prefer to walk on the road often traveled, however, every once in awhile I like stray from the path to adventures unknown with my trusted Sardinian sidekick showing me the way. Go on and get lost, just be sure to come back and tell me all about it. Which road would you prefer to walk on? Running. It’s relaxing, clears the mind, gets the body pumping and, if you’re a distance runner, you can witness stunning views like this treasure of a running road in Sardinia, Italy. Run, hike or bike Sardinia? Which is your adventure? Dreaming of a world where I can swim in the sea; pollution and people free. It’s been nine months since I left my soul in Sardinia, and there’s not a day that passes in which I don’t think of her majestic nature. It’s always a blessing to look back on these photos, fond memories, fond times and a place where my soul rests, peacefully. Nothing annoys me more than seeing a beautiful beach, street or park littered with the laziness of people who continue to make our world a not so beautiful place to live. My favourite time to hit the beach in Sardinia is May and September – why you ask? Well, because there are hardly any tourists and the beaches are clean. What you say? Clean? Yes, clean and litter free. Who do you think is going to walk down that long sandy path to clean this disgusting mess up? The commune? The men and women who work long, hard hours collecting garbage from house to house, from shop to shop and from hotel to hotel? You really think they are paid adequately to walk down that steep incline to retrieve the garbage you left? NO! No, they aren’t and no they won’t. Now, I can’t put all this litter blame on the tourists, can I? That would be totally ignorant on my part. This is a local problem as much as it’s an international problem. I’ve given harsh words to my local friends about leaving their cigarette butts in the sand, and I’ve been tempted one too many times to give the same harsh words to the tourists I see leaving litter on the beach (but lucky for you, my husband held me back). If you brought it with you – take it away with you, this includes your cigarette butts! There are adequate garbage bins at ALL public beaches in Sardinia. Don’t be an uneducated fool who leaves litter on this island, or anywhere in this beautiful place we call planet earth. Considered yourself warned. I’ll be watching you. 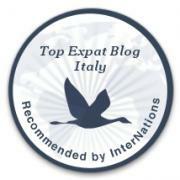 This blog My Sardinian Life receives daily hits from people looking to move to Sardinia, Italy. So, I’ve compiled a little list for those out there searching for a life less ordinary in paradise. The search engine terms which brought people to my little blog are always written in English: Sardinia cost of living, move to Sardinia, jobs Sardinia and so on.